So this morning I announced that yesterday was my last day of my second Whole30. Then, I proceeded to eat a Whole30-compliant breakfast, lunch, and supper. Hmm. Granted, the smoothie was a bit of a step away from how I’ve been eating this past month, but still. I have yet to taste cheese, dairy, or grains. I should probably admit to eating one dark chocolate truffle last night after midnight. Anyway, since I ate (mostly) Whole30 today and I discovered a yummy new recipe, I thought I’d share. 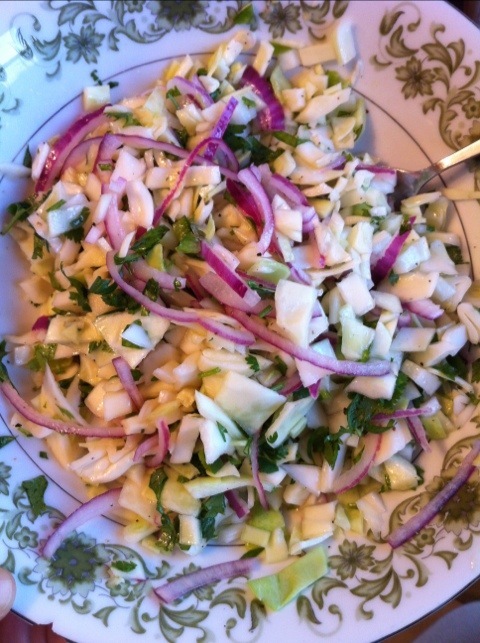 NEW: Lime & Cilantro Coleslaw – yummy!